Beautiful animation, along with a great story about love, loss, and harsh life lessons. A masterpiece that can be in the same ranks as your name and ghibli movies alike; do not skip this release. the story made me feel like I was watching Tuck Everlasting with magic and war. This is an anime move that needs to be watched as it pours in the feels. This is a simply amazing movie about motherhood that will make you feel joyful and sad in turns. 1st time director Mari Okada pulls no punches here. The only problem has to do with the way the bluray was authored-it actually has 2 video tracks. The one that has japanese audio has hard coded subtitles while the one with english audio doesn't-what this does is effectively cut the video bitrate almost in half compared to the japanese release. I first watched the movie during its English premiere and thought it was a really amazing. Before that viewing, I went in blind since I never even heard of it but I’m so glad to know about it now. The presentation and animation was beautiful, the story was engaging and the main protagonist was amazing and probably the best part of the movie. Overall I highly recommend this and if you enjoy it I also recommend looking up details on its production too. Words can’t even begin to describe how this movie made me feel. Emotionally resonant with great animation, this movie is a near masterpiece. 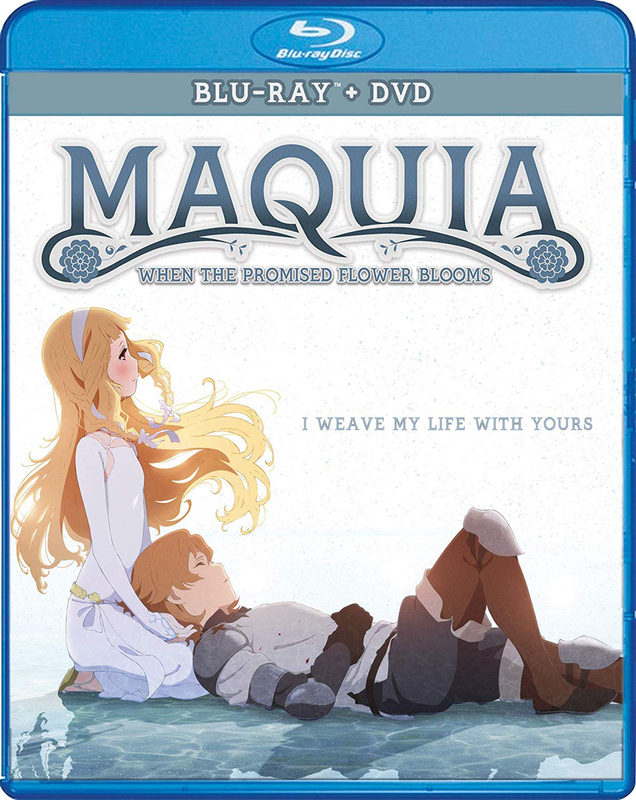 The characters, especially Maquia, are riveting and we really feel for their plights. Spanning decades, this movie manages to hit all of the highs and lows of life and parenthood, and is not one I will soon forget. Highly recommended!